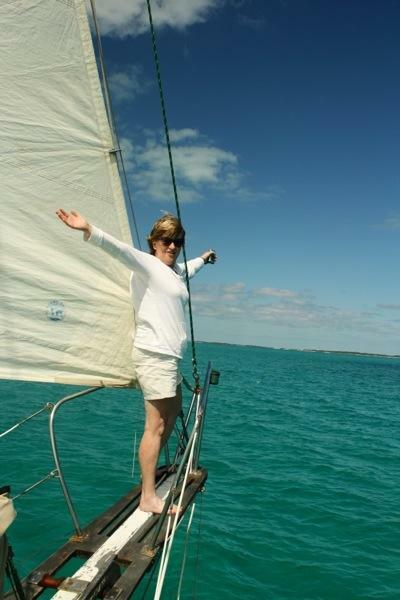 We had a nice sailing forecast; light northeast winds to take us to Staniel Cay for our next visitor’s arrival. 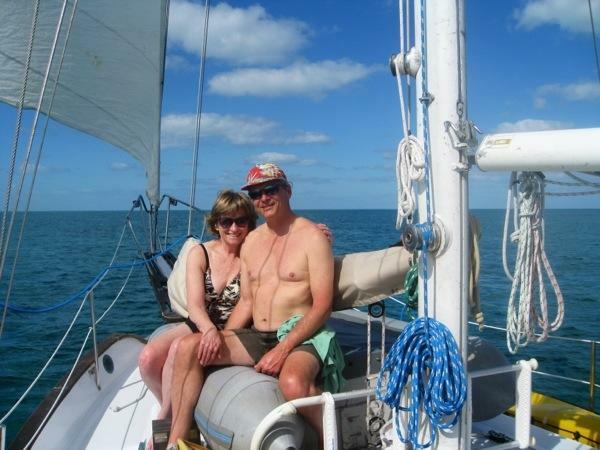 Thankfully we could share a relaxing, sunny sailing day with Bruce and Kathy. 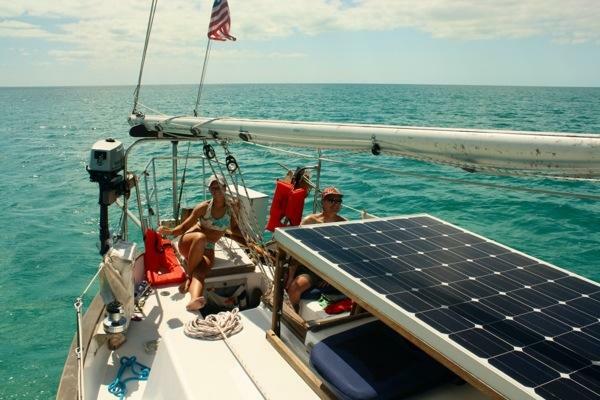 Just one minor problem…our main sail was torn. No sweat, right. 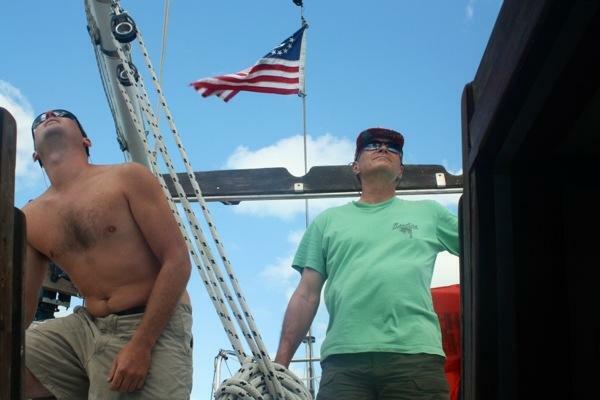 Brian and I went topside with Bruce to change out our spare main sail. Uh oh! 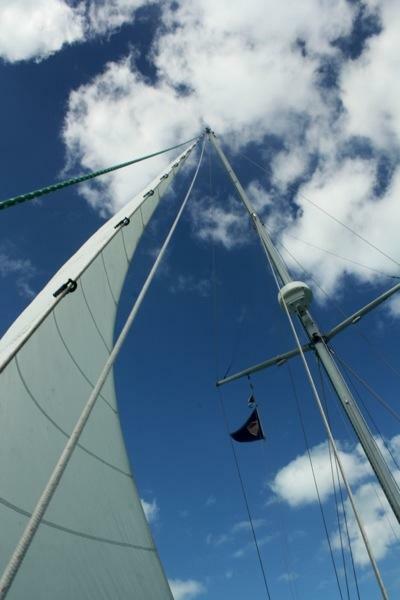 The spare main sail didn’t actually fit in the track on our mast. UGH! Well, good thing we discovered this glitch. The spare main sail doesn’t have track cars but instead has a rope to run up the track which is a bit too narrow for our track. Another project on the to-do list, add track cars to spare main sail. Thank goodness the wind was in our favor today! The genoa brought us from Cambridge Cay to Staniel Cay. Once Bruce and Brian got us on the right course, we all sat back to relax. 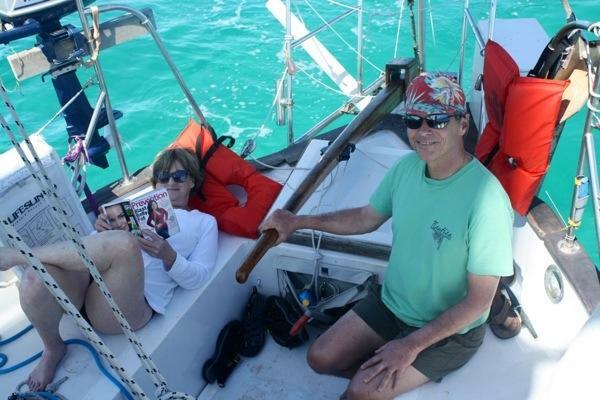 This was the kind of smooth sailing Bruce and Kathy had hoped to experience during their vacation aboard Rode Trip. 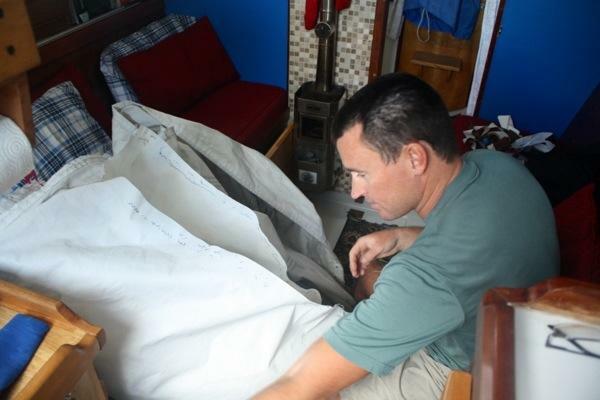 Brian took some time to start stitching our main sail. We thought it likely we’d find a sewing machine to borrow…but one can never be certain and we wanted to be prepared for more sailing. Poor, naked Rode Trip without her main! 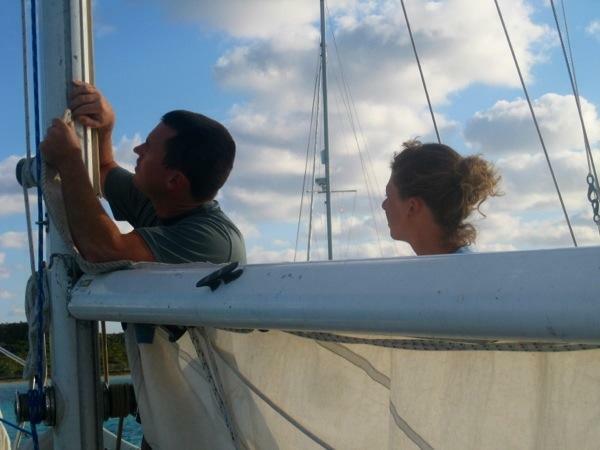 Bit of last minute navigation as we neared Staniel Cay. Bruce drove us into Staniel Cay under motor and we anchored just outside of the town to enable a short dinghy ride to the airport. It had already been a wonderful day and very soon more fun to arrive! 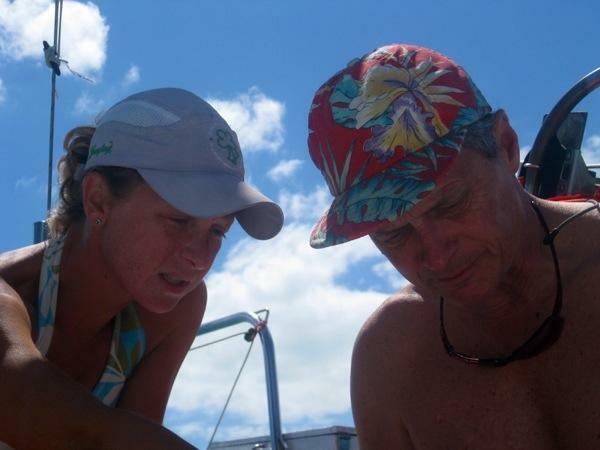 This entry was posted in Uncategorized and tagged 20130305 by stephanie. Bookmark the permalink.